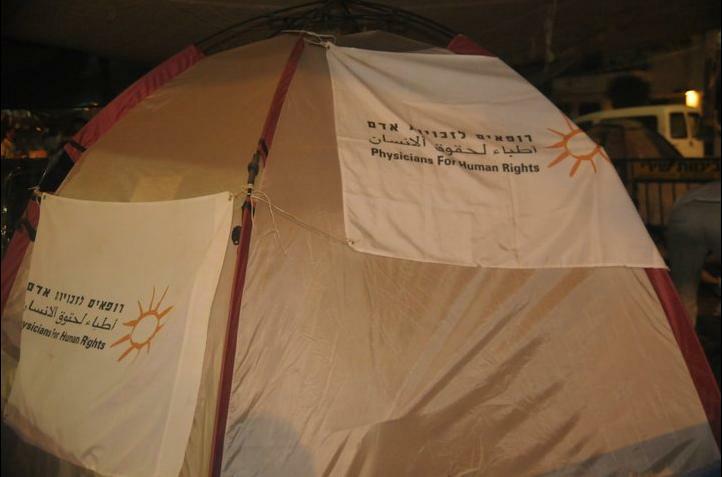 In late February, the Israeli Knesset passed the NGO Funding Transparency Bill by 40 to 34. It had been a long journey for the bill which despite its neutered state was still a declaration of war by the conservative Likud Party​ against the shadow NGO empire that was the Soros way. While the bill was no longer able to empower the lifting of tax exempt status for foreign funded NGO’s and it only addressed foreign funding of NGO’s by government entities, it was a major step for foreign funding transparency. The Soros empire had been built on non-transparency, on hidden donor lists and front groups funded by think tanks with money pipelined in grants through a dozen different organizations. NGO transparency threatened the entire Soros empire and the passage of even a neutered bill meant that Israel might finally be ready to begin rolling back the peel on the rotten fruits of the Open Society Institute. First governments, then foreign funders, parliamentary inquiries into foreign funding and then the loss of tax exempt status for left wing NGO’s waging a civil war. The response came quickly. Less than two months later, Stanley Greenberg, whose firm had done work for OSI, presented a plan to use social protests to create a new majority against the government. Some of the funding for the protests came from fellow Shadow Party billionaire, S. Daniel Abraham​. Abraham was a former board member of Soros’ International Crisis Group and had provided the manpower for J Street, while the Soros money stayed hidden in the paperwork that no one was supposed to see. The president of Abraham’s eponymous organization is Robert Wexler​, the former congressman from J Street and an adviser on the Middle East to the Obama campaign. Netanyahu’s sharp exchange with Obama in May motivated even Democrats who weren’t in Soros’ vest pocket to find a way to force him out of office. It was no longer just fear of losing the Israeli left as their hand puppet– the American Jewish vote was in play. 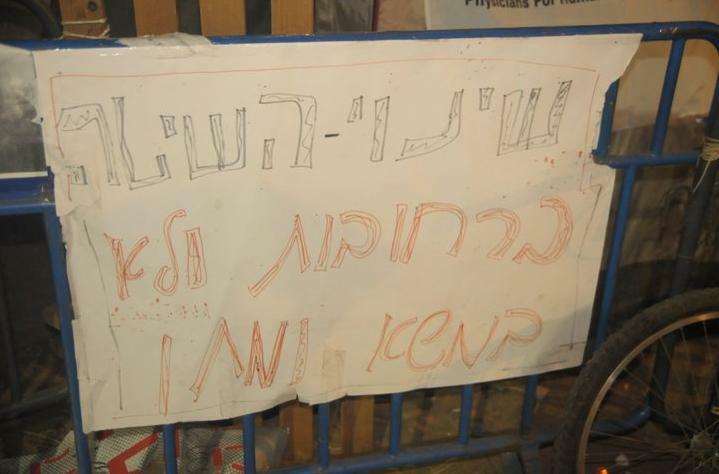 Replacing Netanyahu with a lefty eager to appease the terrorists would heal the split with Obama and Jewish voters. The American and European left could provide the money and the strategy, but the Israeli left would have to do the heavy lifting to save the millions of dollars flowing their way from their foreign backers. 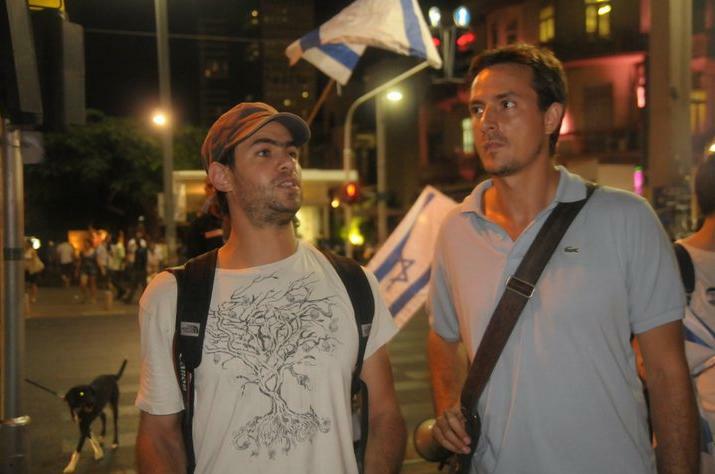 On the Israeli side were left wing veterans of Clinton’s successful effort to topple Netanyahu. Greenberg had been on that campaign and the plan was to do it all over again. Two months after Greenberg’s presentation, the ball was rolling. 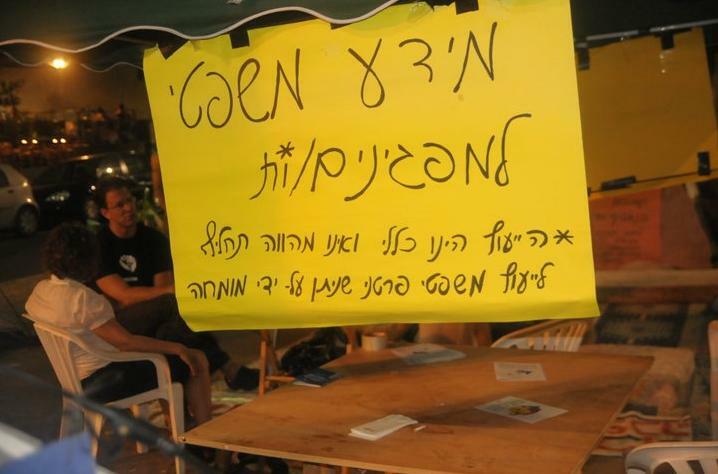 Eldad Yaniv, who had been there when the master plan to take over the country was unveiled, was soliciting volunteers for a campaign against housing prices. 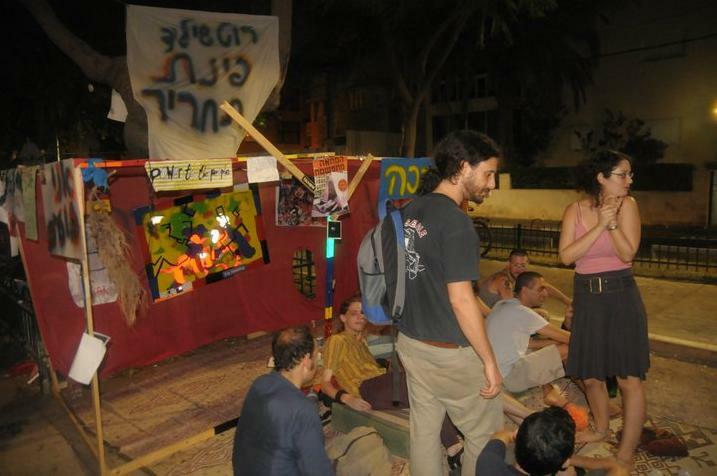 And not long after that, Daphni Leef, a radical left-wing activist, set up an encampment and a Facebook page protesting against high real estate prices. Who was Leef? She was a video editor for the New Israel Fund. 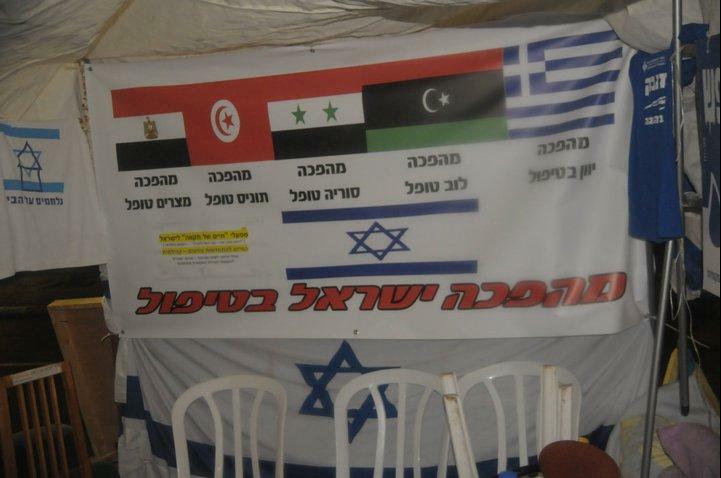 The New Israel Fund is the mothership of Israeli left-wing NGO’s and it is the most threatened by donor transparency. The NIF’s 25 million dollar annual budget is used to fund even more radical groups some of which call for boycotting or outright destroying the State of Israel. A recent Wikileaks report quoted the local head of NIF, Hedva Radovanitz, as saying that she expected the country to disappear and be replaced by a more “democratic” Arab state. 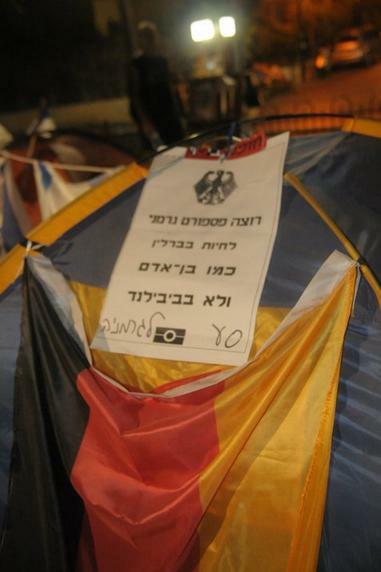 Soros had used his Open Society Institute to feed money to the NIF, one of its employees had become the point woman for the protests– and the NIF was also funding the protests. 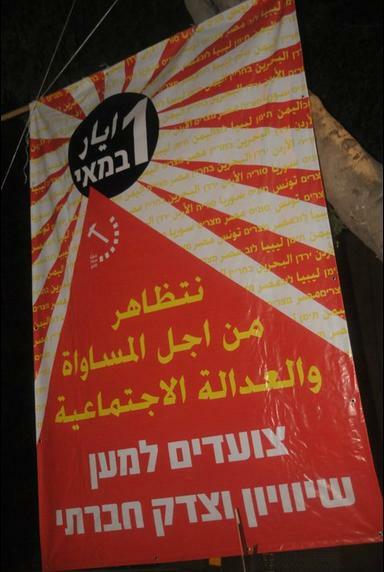 Shatil, the NIF’s “empowerment and training” arm mobilized tent protesters, wrote up a guide for them and brought out the money. Also helping out was Rabbis for Human Rights, recipients of sizable grants from the Open Society Institute and the Tides Foundation. Rabbis for Human Rights had even given awards in one evening to both the presidents of the NIF and the OSI. The Greenberg plan in typically Sorosian fashion aimed at dispersing the organization to as many groups as possible to make it seem as if there was a plurality of voices in a grass roots populist movement, rather than a well orchestrated plan by the left’s international backers to topple a government which had become a threat to them. 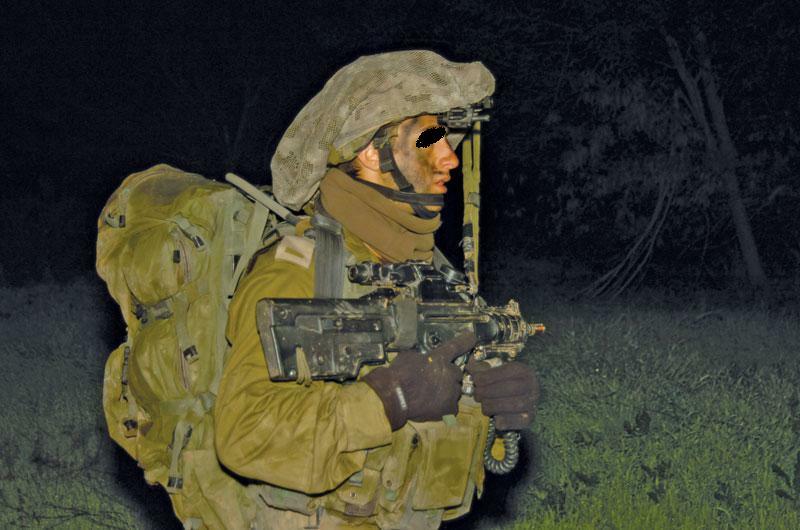 Netanyahu’s sound fiscal management had brought Israel through the global economic turmoil in fairly good shape, but the country was not immune to the rising prices that had stirred up the revolts of the Arab Spring. 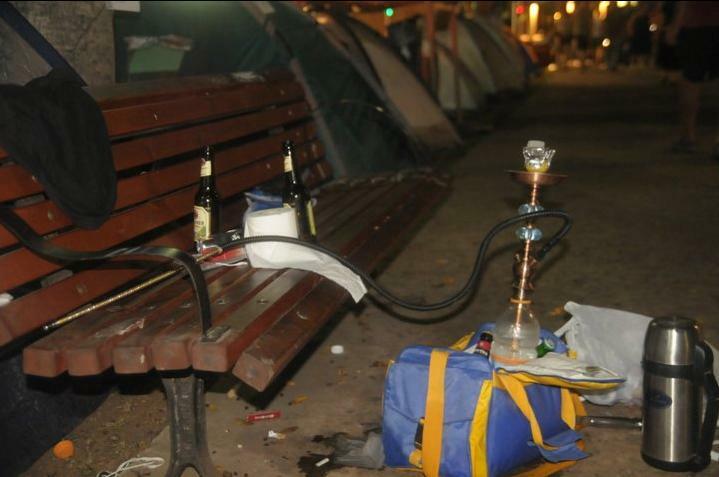 The social protests followed a similar template with a similar intent. The left is utilizing a tactical blueprint tested around the world by Soros front groups or grantees. Hijacking protests over the price of bread allowed him to topple Mubarak. 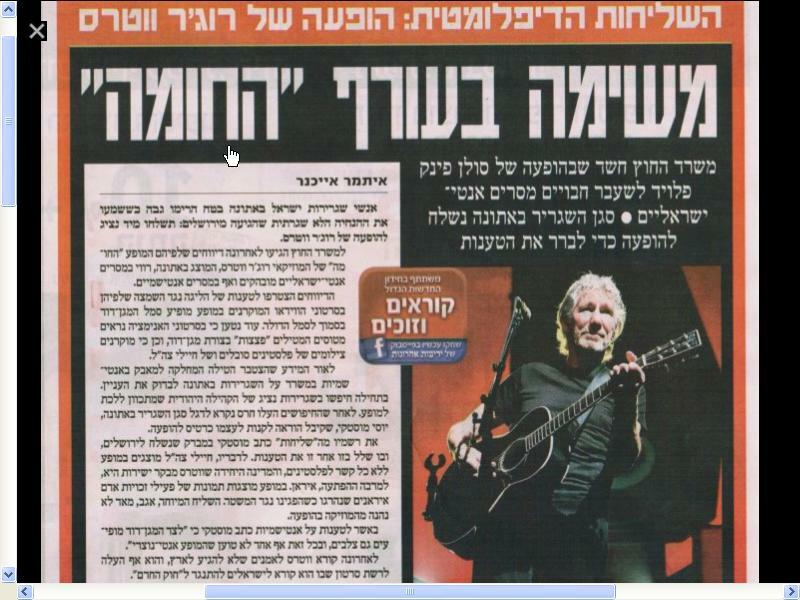 Now it’s Israel’s turn. The campaign for Israeli NGO transparency threatens Soros’ long term influence in Israel and the defection of Jewish voters threatens his influence in America. His Israeli puppets have big money at stake. Soros, the Shadow Party billionaires and the EU have spent fortunes to buy up the left. 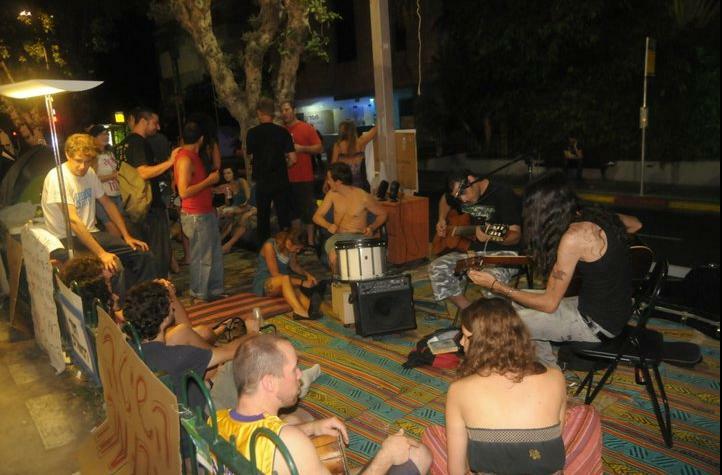 Israeli left-wing university grads with no talent for tech have a lucrative alternative to dot coms in the NGO and if their NGO mafia were to collapse, it would give the leaders of the housing protests some real economic problems to cry about. 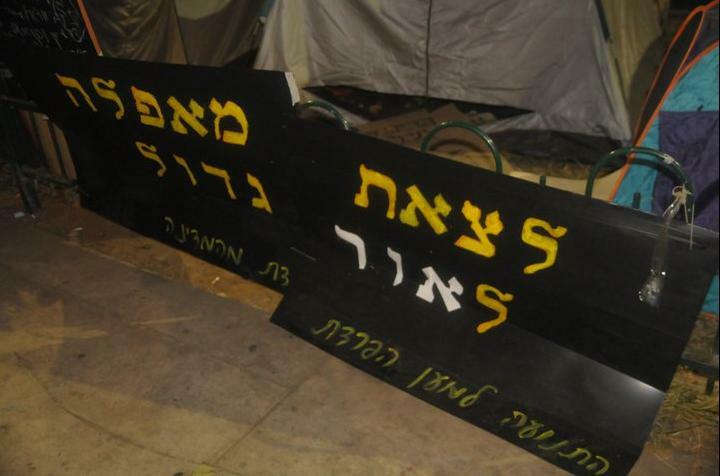 Meanwhile a guillotine was set up at the center of Tel Aviv’s housing protest tent city. It’s a message for Netanyahu from the man who has toppled governments and currencies, that his days are numbered. 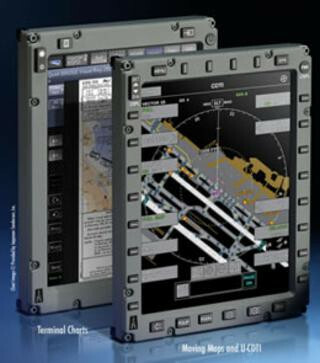 The Electronic Flight Bag — from Astronautics C.A. On October 20, 2010, the U.S. State Department notified Congress of its intention to make the biggest arms sale in American history — an estimated $60.5 billion purchase by the Kingdom of Saudi Arabia. 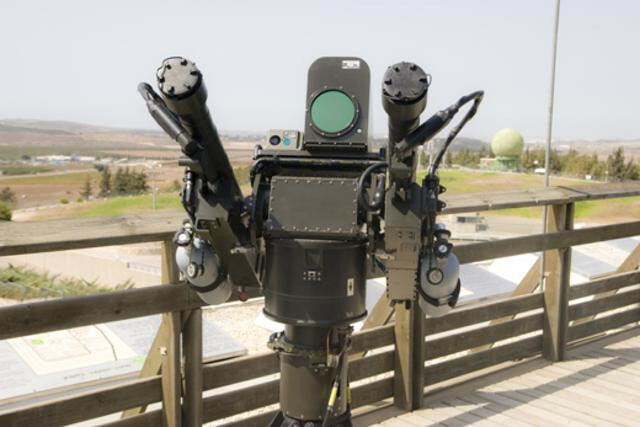 The package represents a considerable improvement in the offensive capability of the Saudi armed forces. UNESCO has declared that Rachel’s Tomb near Jerusalem is the Bilal ibn Rabah mosque — endorsing a Palestinian claim that first surfaced only in 1996 and which ignores centuries of Muslim tradition.